I contemplated writing a non food post. I'm kind of fooded out. Christmas was a whirlwind of baking, cooking, driving, ribbons, wrapping, eating, kids running around, unwrapping, laughing, a wee bit of sleeping, more baking, more cooking, more ribbons and wrapping, eating, more kids, more unwrapping, eating again, and maybe just a little more eating. I may have eaten more than my share of cookies. I'm certain I've gained some holiday poundage. I want to know. Yet I don't. The scale can wait a few days. I'm sure it's no surprise I love baking. December is by far my biggest baking month of the year. This year was even a little bigger than usual. It started with a baking frenzy for December Baking GALS. The following weekend was dedicated to baking for friends and co-workers (pictures below). And this past weekend was the final push to bake for Christmas Eve and Christmas Day with family. Every year I pick several cookies to make. Then I try out some new recipes. 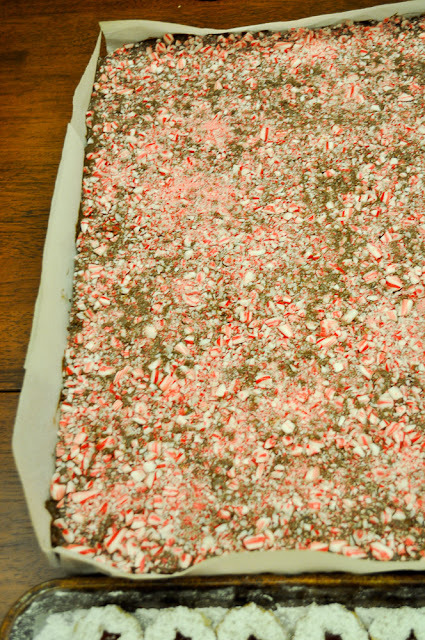 This brownie recipe (double the recipe and bake in a sheet pan) received a holiday twist by spreading melted milk chocolate on top and finishing with crushed candy canes to make a peppermint brownie. I made traditional snowballs this year. If you've ever had trouble getting powdered sugar to stay on these types of cookies, I have tip for you. This tip comes from my Aunt who is a master cookie maker. 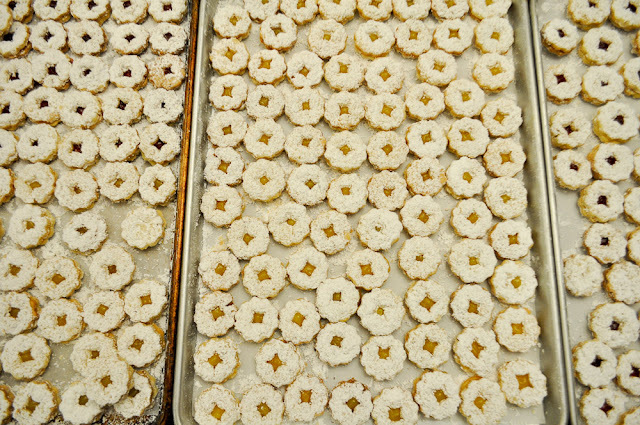 Store the cookies overnight in a bag full of powdered sugar. 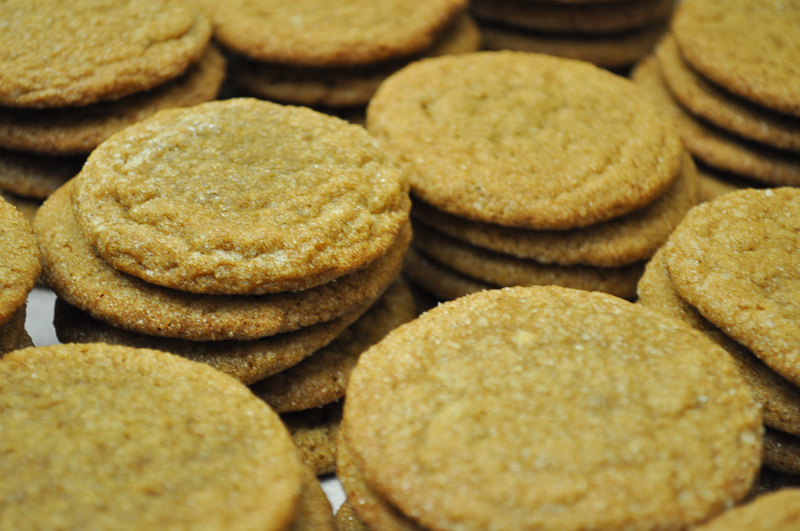 The cookie soaks in the powdered sugar and you will not have the problem of disappearing powdered sugar ever again! It's kind of genius. Red velvet crinkles were a new addition as well. They turned out nice and chewy and were easy to make as they started with a boxed cake mix. 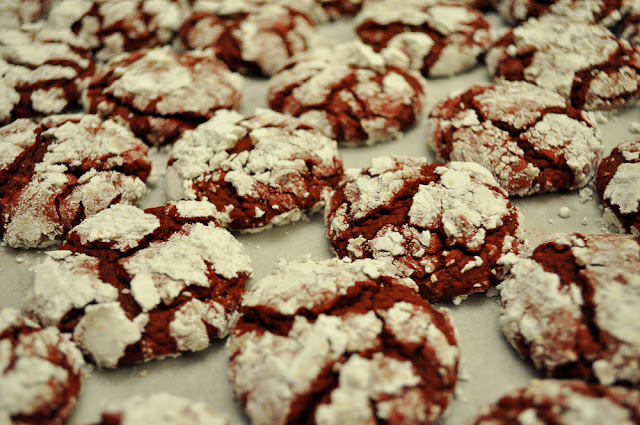 I just love that dusting of powdered sugar on top with the deep red cookie peeking through. But next time I want to take it up level and try Two Peas and Their Pod's red velvet cheesecake cookies. Check them out. They look seriously sinful. And lastly, to mix things up, for the first time, I threw in a savory "cookie" of sorts. 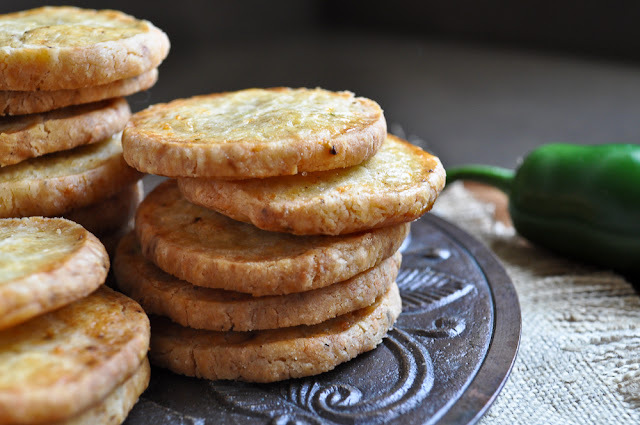 Jalapeno cheese crackers. These are easy to make slice and bake crackers. 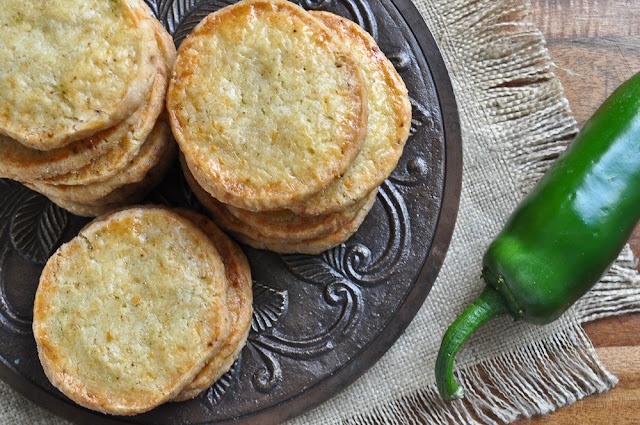 Of the new additions to the holiday baking roster this year, the jalapeno crackers were pretty popular. I received a few comments from girlfriends, saying their male counterparts really enjoyed them. A salty spicy treat is a nice departure from the sea of sweetness that takes over the holidays. Don't get me wrong, I love the sea of sweetness. But these spiced crackers will be a very strong contender for next year's holiday round up. The recipe comes from Ina Garten's latest cookbook, Foolproof. Or perhaps I should clarify that the base for this recipe comes from Ina's new book. I adapted it a bit. Initially I followed the recipe pretty darn closely. The only change was using regular chili powder in place of chipotle chili powder. The first go round I found the jalapeno and spice to be on the light side. I made a couple more batches and tweaked it along the way. The version I settled on has double the jalapeno, double the chili powder and the addition of cayenne for an extra kick. Oh, and I decided a little extra cheese couldn't hurt either. 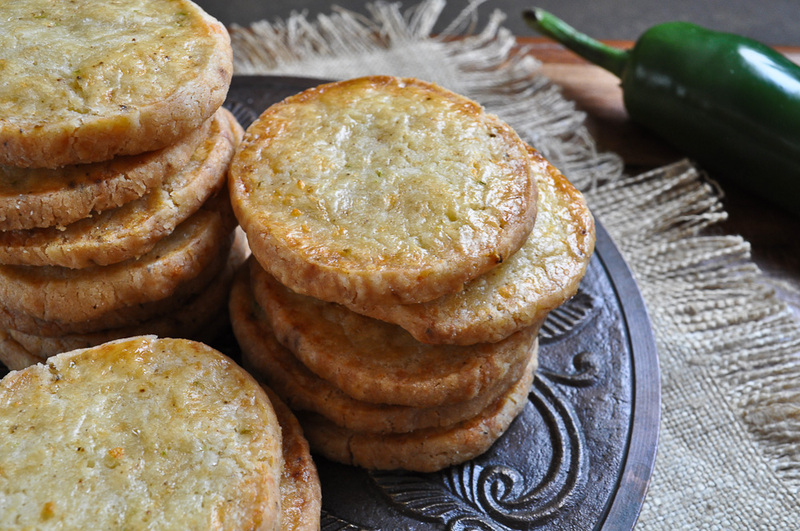 These cheesy spicy crackers would make a perfect snack for your New Year's menu. Any fun plans to ring in the new year? Hubby and I will be enjoying a quiet New Year's Eve at home. Mostly because Hubby is under the weather and on antibiotics so that means no drinking. For him anyway! If we don't talk before the year closes, I hope you have a very HAPPY NEW YEAR! I added additional cheese, jalapeno, chili powder and cayenne to Ina's original recipe. In a food processor pulse flour, kosher salt and baking powder. Add butter pieces and pulse again until the mixture is a coarse meal. Add cheese, jalapeno, chili powder and cayenne and pulse again until just combined. With food processor on, add ice water all at once and continue to process until the dough forms a ball. Turn dough out onto a lightly floured surface. Roll into a log about 14 inches long. Wrap tightly in parchment or plastic wrap and chill for at least an hour. Preheat oven to 400 degrees and line two baking sheets with parchment paper. Slice the log into 1/4 to 3/8 inch discs and place on parchment leaving about 1/4 - 1/2 inch space between crackers. 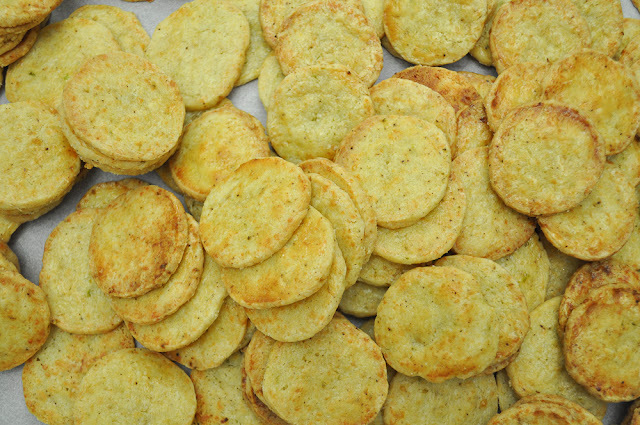 Brush crackers with egg wash and sprinkle with fleur de sel to taste. Your crackers look out of this world! I love spicy crackers! Bookmarking your recipe! Wow! you've been busy!!! but I'm so glad you posted these delicious crackers - they sound right up my alley - bookmarked and Happy New Year! I could totally do some damage with these crackers, they sound amazing!! Seriously Gloria, did uou really make all of those cookies, that's insane?? But dang impressive :) happy new year..
Oh yes, December is the baking frenzy of the year for me as well! I usually include savory crackers too, but not homemade, it's just a cracker mix with seasoning in it and that always is almost more of a hit than the sweets. 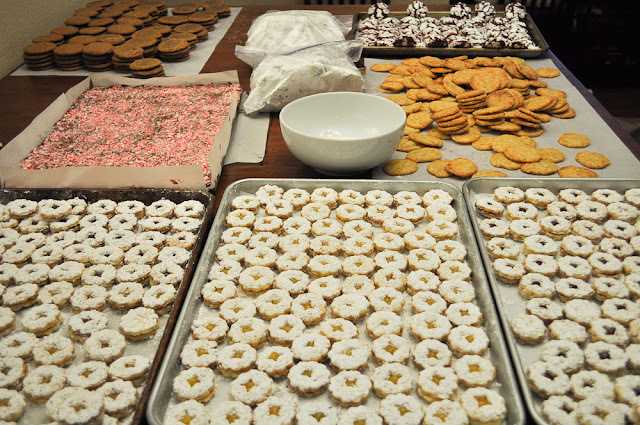 I think people get overwhelmed by all the sweets so you were totally smart to make the crackers. They sound so good! Wow, you did some serious baking. The crackers do sound interesting--they are pinned for future baking ideas. I loved the spicy crackers and the idea of making something else than sweet Christmas cookies only!! !I will try them soon,thank you thank you.....from GREECE!! !